Last week I had the pleasure of speaking with Dean Fosdick, who writes for the Associated Press, about ways to save time and money in the garden. I hope to share his article with you sometime in March. In an earlier posting on this site (Feeling The Recession…)we looked at growing ornamental vegetables as a beautiful and thrifty gardening approach. Judy Lowe referenced it along with some other excellent budget-minded tips in her Christian Science Monitor article Money-saving gardening ideas //features.csmonitor.com/gardening/2009/02/16/money-saving-gardening-ideas/ I have postings on ornamental herbs and edible flowers that will arrive soon due to such high interest. But for now I wanted to share with you some of the things Dean and I discussed. 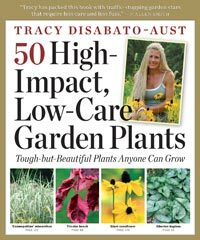 *Select high- impact, low-care plants (This is one of the main reasons I wrote my new book!!) Select plants that are long lived, cold, heat and humidity tolerant so we are not going to the great expense of replacing them. Gardeners waste tons of money and time by killing plants that are either not long lived or not the right choice for their site. Know your site—hardiness zone, soil etc (as I discussed in my earlier design blog and follow those design steps for success). I was thrilled to see Anne Raver’s article in The New York Times, “New This Year: The Tried and True” where the same theme rings out!! *Prepare the soil with nutrient providing organic matter—Plants double or triple in size the first season (so smaller sizes of plants can be purchased) if the soil is prepared properly—create a living soil—so plants are less stressed, less prone to disease and insects—no band aid later with synthetic fertilizers or worse yet Death! 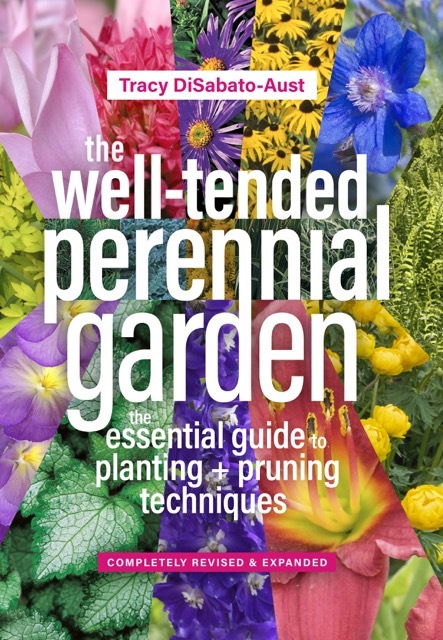 (see: Well-Tended Perennial Garden for soil info) Compost yourself to save money but don’t skimp on this step as it will ensure success for countless years. 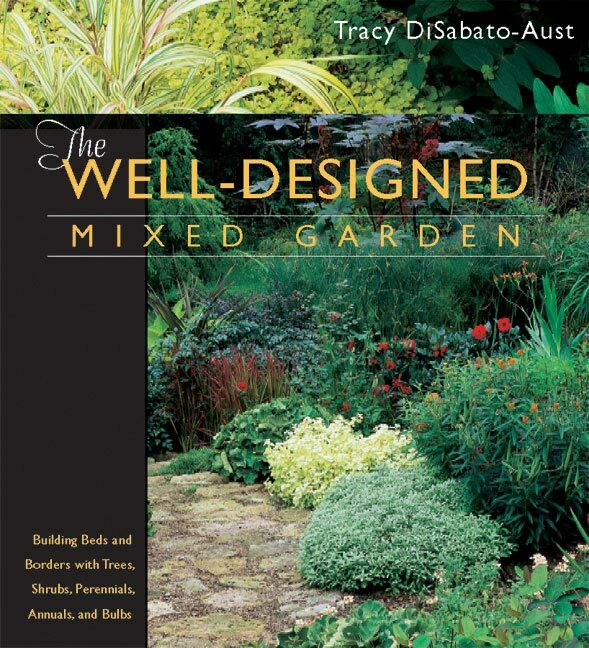 *Select plants that reseed (Assertively)— Plants that reseed “happily” not invasively (there is a huge difference) fill in space in the garden and thus fewer plants are required. Consider the free-seeding natives Wild-Oat (Chasmanthium latifolium) (photo) , or Bottlebrush Grass (Elymus hystrix) which are happy in wet or dry shade and finally fill in those spaces where you’ve killed numerous other species!! *Select plants that grow wide— “Big Bertha” plants should be “in”—“voluptuous is back?”—good news for Jessica Simpson, Heidi Klum (can you believe they have been called “heavy”?) and these large plants…wide growing plants fill in space and again you will need fewer plants in the garden. Think about the gorgeous ‘Gateway’ Joe Pye Weed (Eupatorium maculatum ‘Gateway’), and the fragrant ‘Hansa’ Rugosa Rose (Rosa rugosa ‘Hansa’) (photo) who can eventually spread to 4’or even 6’. *Plant sharing— Be generous this year and share your plants with friends and family who may not be able to afford to buy their own. And don’t be afraid to ask for plants from friends if you see they have a large grouping of them. This works great with the above “assertive seeders”. I’ve given away countless Purple Coneflower (Echinacea purpurea) and Heliopsis (Heliopsis helianthoides) which also seed assertively. Hosta and daylilies divide easily with double-fork method (see video section) so make for easy sharing. 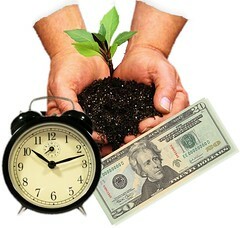 I’m looking forward to your comments on some of your money saving gardening ideas! !